Hudson give kisses now. He's been doing it for a few months now. I'll say, "Kiss" and he'll lean in and press his lips against mine. He then pulls away and giggles. 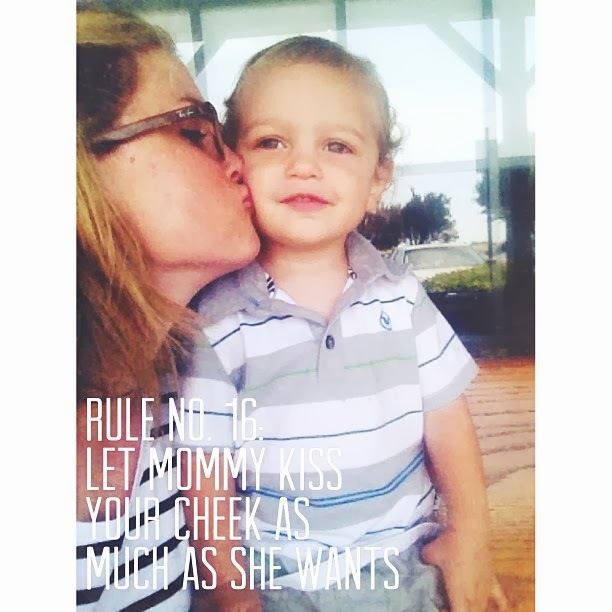 I'll never tire of kissing my boy, and I hope he'll always be willing to kiss his mommy.